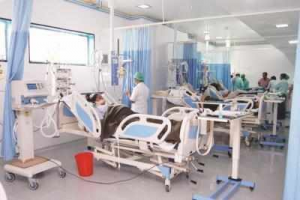 MUMBAI: Regulatory overhang on the hospital sector is likely to persist, with further pricing restriction expected on products and services in the future, according to rating agency Icra. The hospitals sector has been under the regulatory scanner lately with the National Pharmaceutical Pricing Authority (NPPA) announcing price caps on stents last February and on knee implants last August. The resultant reduction in stent prices was as much as 84 per cent, while that for knee implants was as high as 69 per cent, Icra said in its report. Shubham Jain, vice-president, Icra, said the regulatory actions by the NPPA last year had adversely impacted the revenues and margins of the hospital players. “The regulatory overhang on the sector is likely to persist and vulnerability to any action by the central and state governments and the NPPA remains high,” he added. The drug pricing authority has released at least three office memorandums (OM) this year, which indicate that substantial profits are being earned by hospitals on medical devices, drugs and diagnostic tests, the report said. Further, in two of the studies, the NPPA stated the need for regulatory action to curb these excess profits. The report said not only the NPPA, many state government authorities have also become active, thus increasing the risk of regulatory interventions. The Delhi government in May this year proposed norms that would restrict hospitals and nursing homes from marking up prices of many medicines and consumables over 50 per cent from their procurement price to curb alleged profiteering. “The draft advisory from the Delhi government and the consultation paper issued by Niti Aayog indicate that further pricing restriction may be placed on products and services provided by hospitals,” said Jain. Moreover, he feels the action taken by one state could nudge others to implement similar measures.